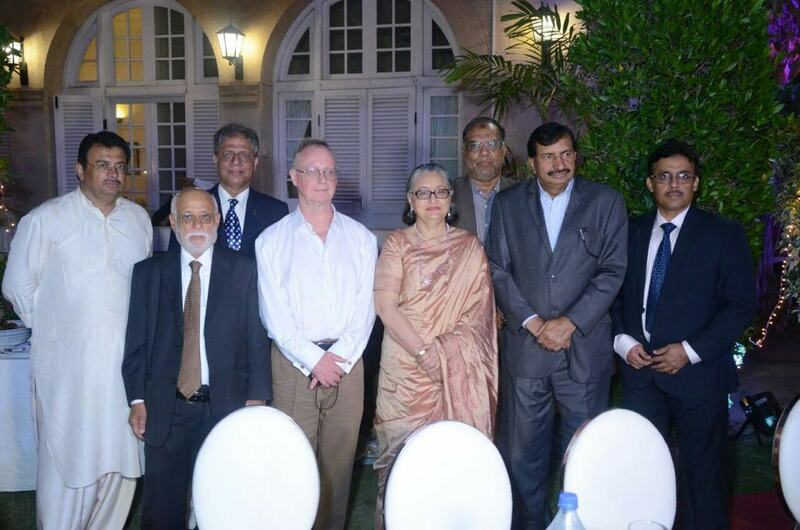 Pakistan Red Crescent Sindh with the support of the Deputy British High Commission organized its annual fundraising event which has raised more than 15 million rupees. The event was held at the Residence of Deputy High Commissioner on Saturday, February 24, 2018. The event featured about 250 guests including prominent names from government, business community, media and civil society. The objective of the event was to raise funds for PRC Sindh to continue its mission of providing humanitarian assistance to vulnerable communities of the province. The event highlighted the work of PRC Sindh in serving the people of Sindh in both peacetime and emergencies. The event started off with a welcoming note by Mr. Steve Crossman, Deputy High Commissioner, UK. He appreciated the role of PRC of going into dangerous situations and helping vulnerable communities when everybody else is running away. Addressing the guests, PRC Sindh Chairman Mrs Shahnaz Hamid thanked the audience for coming forward to support the event. She briefed the audience on current position of the PRC and highlighted the challenges the organization might face in the future. She acknowledged the support of the German and Norwegian Red Cross societies for supporting PRC Sindh. She said the world is faced with dangerous situation where international disasters have put resource constraints on international funding. She urged the government and private sector to join hands with PRC Sindh in order to serve humanity. She thanked the national Chairman and managing committee of Pakistan Red Crescent for their support. PRC National Chairman Saeed Elahi also appreciated the efforts of Sindh branch and briefed the audience about the national network. He talked about different programs of PRC including health, disaster management, water and sanitation, first aid and restoring family links. He thanked the organizers and managing committee for organizing the event. PRC Sindh Vice President concluded the session with his vote of thanks. There were donations made on the spot by the community which has made the event a success. The event concluded with a qawwali session presented by Fareed Ayaz and Abu Muhammad.